I usually review new, or noteworthy, releases in Victoria. While this brew is not new, it is notable. While a ESB is usually a balanced beverage, this naughty one leans towards the hops. This seems appropriate for the hop-happy PNW palate. If someone put club soda through a hop back, locals would line up for a taste. Once the nose hits the glass, you know your hophead cravings will be satisfied. It is all here: floral, sweet ruby red grapefruit and pine hop nasal offerings. At the start, hop astringency alerts you as to its intentions. It is not gripping like an IPA; more like a hernia exam. Hops start with an even mix of cedar/pine, sweet grapefruit and hidden bubblegum. This yields to a malt middle of caramel/toffee and bread. After the liquid descends with a warm passing, the vapours reincarnate the hop invitation. It is a vicious palate circle that we are all doomed to repeat. This brew excels in its simplicity but enjoyable predictability. This is the yang to Lighthouse's previous yin Belgian Black brew. The Belgian White is a ramped up imperial witbier. 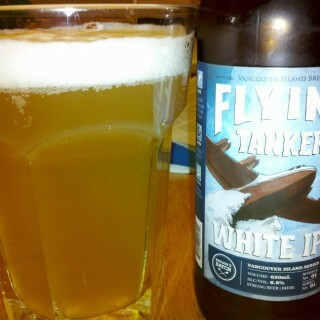 Dean from Lighthouse describes it best, "Belgian White is different. We took the classic wit and gave it a good old west coast make-over: bigger and lots more hops! What I love about this beer though is that the wit characters are still there; coriander, clove, bitter peel, bready wheat and almond notes. Spices up front, classy soft malt mid palate and a dry, lingering bitter finish." Sounds like a good description but what did the beer prick think? The first first thing you notice, obviously, is the nose. This would be the perfect beer to drink while playing Diablo 3, it smells a bit like fire and brimstone. Lots of sulfur, coriander, oat straw, hot and dry spices leap from the glass. You better like it because these aromas never leave; after a while they morph into a very inviting scent. Full and spicy sips reveal a cornucopia of flavours. First there are the grains: oatcakes, cream of wheat, marzipan and fresh bread. Next you must sort through the spices; coriander is king closely followed by cloves and maybe a little cinnamon. To make matters worse, you must contend with the southern hops and fruitiness from the yeast. You can pick out various tropicals, mangoes, jackfruit, slight lemon and other citrus fruits. Nothing is overpowering. It just slides down the throat, giving the uvula a crosscheck on the way past. Very complicated, it might take a few bombers to sort it all out. The W.I.P.A. was a fun challenge for me, in that they asked me to brew a style I'd never tried before. I could guess by the name that it should be a hybrid of Witbeer and IPA styles, but as for which elements of each should show up in the finished beer... well, that's where the fun came in. For the malt, I basically took a witbeer composition, and increased the total malt bill to bring things up to IPA strength. As you can tell, the bittering hops (Galena) are definitely from the IPA side. This beer has far more hops per hectoliter than have ever been put into any beer that VIB has made! Of course, I used our newly acquired Weihenstephan yeast, and this is where things really got interesting. I knew that this yeast can impart a big fruity nose, and I knew I wanted big hop aroma, but how the two would work together was a bit of a gamble. In my opinion, it paid off BIG TIME! The two seem to take turns -- tropical fruitiness when first poured, but as the beer warms up, the Cascade hops really start to come through. This is the first bomber from Vancouver Island in recent history. It is a very good sign for Victoria's beer drinkers. Here are the reasons why. The first is that there is now another brewery in town producing limited releases. The second is that this release is a new style and not a duplication. The third is that this beer is hoppy and really good. The fourth is that VIB doesn't export to the mainland, which means more beer/casks for us. It is good to see the local boys/girls trying new styles, giving us beer geeks something new. I am aware that this is probably the wrong glassware choice for an IPA, but I never get to use my massive Hoegaarden glass. The first thing you will notice is the massive floral, citrus hop nose which hides the slightly spiciness of the Weihenstephan yeast. Next comes the chewiness of the hefe with all the tart yeasty goodness. In quick succession is a slight sourness blended with cream of wheat, lavender, grapefruit rind, lemon and wool. This beer is great and should - no make that will - sell out quickly. I don't think it will cellar well, but who has that much patience. Well done! Beer School #? "Baby Got Bock"
I forget how many beer schools there have been. Some are documented, some are not. 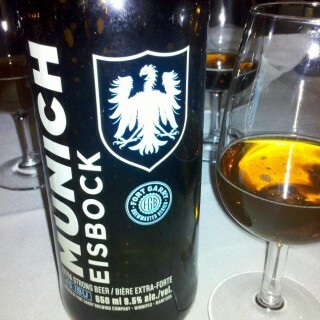 This was all about the wonderful world of bock beer. 18 craft beer geeks descended on Clive's Classic Lounge for an evening of great beer. What is a bock beer anyways? Think of it as a dark German lager with a kick. We don't tend to get many bocks on the West Coast. If we are going to drink something dark, it will most likely be a stout or porter. We do love our hops; perhaps it is time to get in touch with our malty side. This is what bocks deliver in abundance: rich, dark and sweet malts. Let's explore this classic beer style and maybe a malt amour will mature. The bock beer style began back in 14th century Germany. At this time the brewing powerhouse was not Munich, but Einbeck in the North. From Einbeck, beer flowed south into Bavaria and Munich. In the local dialect this beer was called 'Oanbock', which was shortened to 'bock'. For some strange reason goats are often found on bock beer labels. 'Bock' is also the German word for billy goat. By definition a bock is a dark, sweeter lager with low bitterness (20ish IBU) and a bigger alcohol content (6-7% ABV). It will certainly appeal to the beer drinker with a sweet tooth. Luckily there are a few bocks in the Garden City. Hoyne Brewing has the Big @#$# Bock year round. Hoyne is restrained with the malts, but there is plenty of richness to appeal to a beer lovers sweet side. When you pair bocks with food, think sweet and rich. Wild game, pork and roasted foods all work with bocks. Anything caramelized will mesh nicely. Caramelized onions, seared portabello mushrooms on whole wheat pasta drizzled with sweet balsamic crema; now this meal calls for a bock. Did I mention that there were multiple variations of bocks? The helles (pale) bock was brewed in response to the pilsner phenomenon that was sweeping through Europe. At first, Munich brewers swore they would never brew a pale beer. Spaten blinked first and brewed their first Helles in 1894, over 50 years after Pilsner Urquell was unleashed. No one said old world brewing was a dynamic industry. Helles bock still retains a thick, chewy maltiness but the hop bite is curtailed. Maibocks and helles bocks are very similar styles; maibocks are generally released in spring (May) and can be slightly hoppier and marginally darker. The food pairing for lighter bocks are similar to pilsners. Spicy foods and sea food are optimal. Our example of a helles bock was the Rogue Dead Guy; surprise it's a maibock. The Dead Guy is a tad hoppier and less malty that one would expect from a helles bock, but it is brewed for the North American palate. Dopplebock: double up on an already strong beer? The 'dopple' part is not a literal description. But yes, the ABV of dopplebocks is raised (7-10%) and so are the malty flavours. 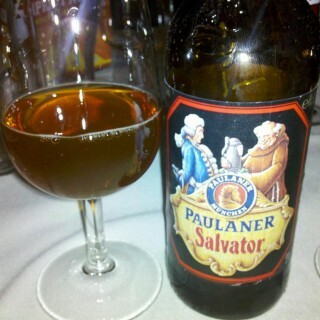 The original dopplebock is the rich and caramelly Paulaner Salvator. There are many imitators and they use “-ator” ending names in homage. Victoria has had no shortage of these brews; we like our strong beers. Instigator (Phillips) and Navigator (Lighthouse) are local favourites, while Captivator (Tree Brewing) is imported from Kelowna. The food pairs are similar to a traditional bock. This sweeter beer can also be enjoyed with deserts. Imagine this caramel malty beverage with crème brulee. More variations of strong bocks are always welcome. 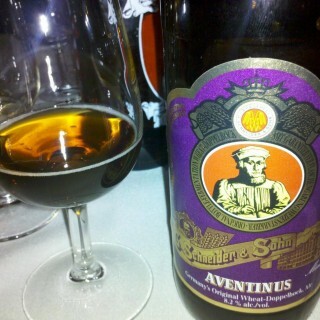 The Aventinus wheat-dopplebock is truly world class. With the inclusion of at least 50% wheat malt, you get a beer with all those wheat tastes we love. Dark, rich, raisiny with spicy cloves, caramelized bananas and cream of wheat. If you can find the eisbock version of this beer, purchase several without hesitation! What was once an accident is intentionally enjoyed every year. The eisbock (ice/frozen bock) beer style is made using a technique called freeze distillation. Beer is frozen which causes water-ice crystals to form. This ice is removed to further concentrate the alcoholic beverage. 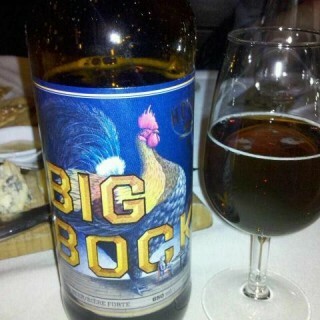 Fort Garry Brewing in Winnipeg makes the other Canadian eisbock. There are few foods that was stand up to the thick, chocolatey maltiness of an eisbock. Grilled game, duck, caviar and rich Stroganoff are big foods that can handle a big beer. A brandy snifter of Hermannator and a caramel flan or chocolate cheesecake with ginger/plum sauce would be a decadent end to a meal. Looking forward to the next beer school, "Pucker up Buttercup". This will be a sour beer bonanza.